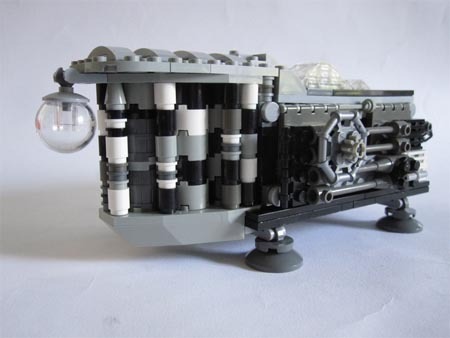 You are here: Home » MEDIA » Kit » Lego’s Analytical Engine (with added Raspberry Pi). 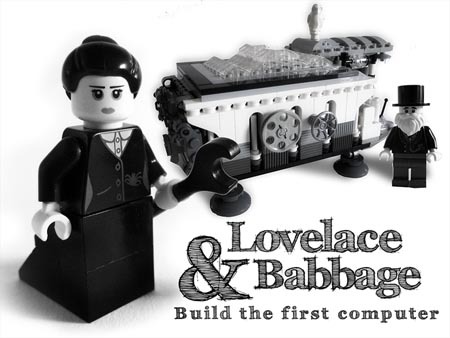 Lego have their own version of Kickstarter to help bring new kits to life – and one new suggestion is for a steampunkish Victorian Analytical Engine (with added Raspberry Pi), complete with Ada Lovelace and Charles Babbage minifigs, and this has been gaining lots of support (we were going to say a full head of steam, but that might be too cheesy). The proposed kit ships with a monochromatic brick palette to help evoke a Victorian atmosphere and the engine itself is decorated with cogs, chains and pistons for a steampunk aesthetic. There is also capacity for the model to house a Raspberry Pi v2.0 single-board computer (optional and would not be included with the price). This set would ship with Analytical Engine (inc. store, mill, barrels), glass roof (removable), ​two easy access ‘service hatches’, gas lamps, punch cards, a Charles and Ada minifigures (inc. spanners) and who could forget their famous pet owl, Cogsworth. Perhaps it should ship with a free copy of The Court of the Air, too, where you can read all about Stephen Hunt famous steam-driven computers, the ‘transaction engines’. « Heritage Of Cyador (The Recluse Saga book 18) by L.E. Modesitt Jr. (book review).